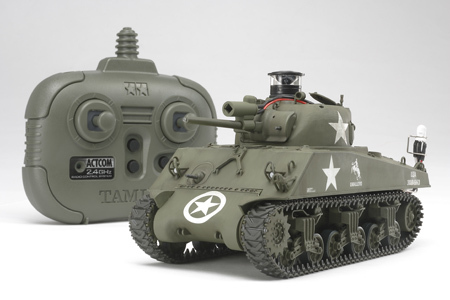 Tamiya has done it again! Their attention to details and realism is unbelievable. 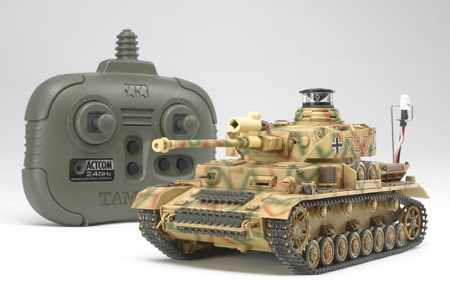 Driving one of these tanks is almost like the real thing! 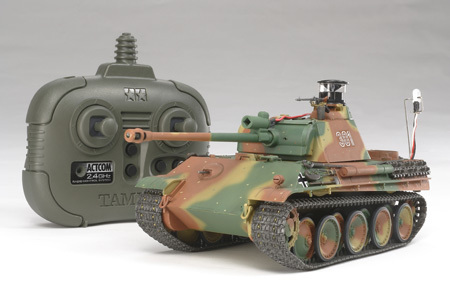 Tamiya is known for recording actual engine noise from real tanks so that their models will represent the actual tank. 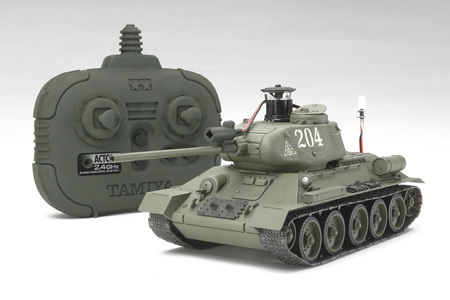 These tanks kits include everything you need to have a functioning R/C tank along with sound and battle system. You just need to add batteries. You will hear engine noise, main gun firing noise and explosions when you play with other tanks in battle mode. They also use 2.4GHz radio system so you can have virtually unlimited number of tanks operation at the same time without interference. Currently, there are four models. 48209 - German Panther Type G Late Production, 48210 - Russian Med Tank T-34-85, 48211 - German Panzerkampfwagen IV, and 48212 - US Med Sherman M4A3. rc tank used here also fully featured tank. The M26 Pershing was introduced in the final stages of World War II as the successor to the M4 Sherman. Featuring a powerful 50 caliber 90mm gun with a range of 1,400m, the Pershing was designed to take on the powerful German Tiger and Panther tanks.